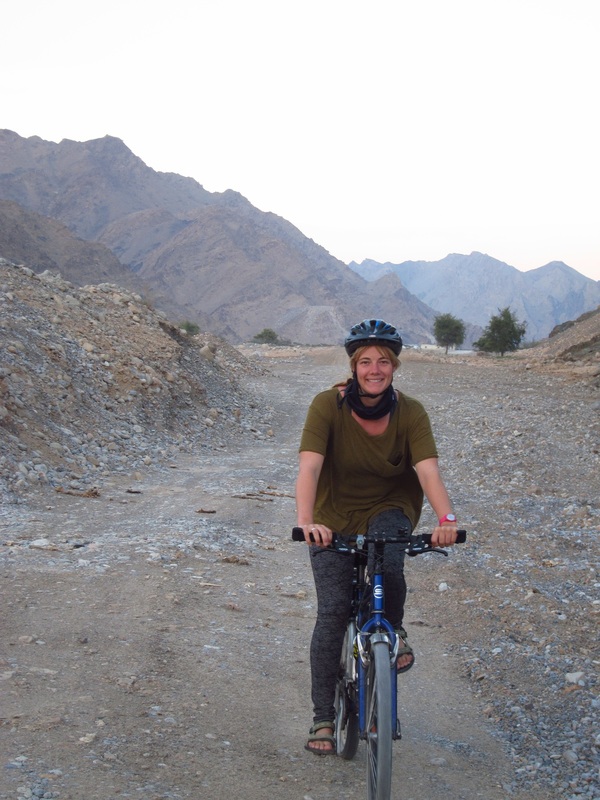 After a year working in Oman, which was fantastic, it was time to move on and to embark on another adventure. One in Europe, probably, but we weren’t sure about anything beyond that. 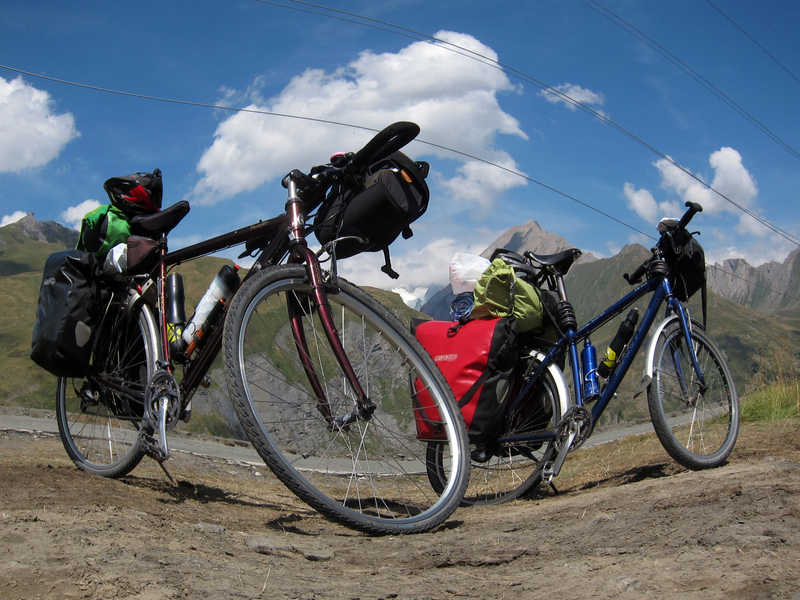 After being able to save up a little bit of money, we decided to buy two second hand bicycles while over at home for the Christmas holidays, fly them back to Dubai, take a ferry across the Persian Gulf to Iran, and start pedalling from there. In six months we made it to Antonio’s hometown in Spain. Throughout the trip I wrote irregular posts, all of which you can read here. Enjoy! Useful contributions: A healthy dose of OCD – the only one with actual cycling experience – can fix a puncture most of the time – functions really well on biscuits and chocolate. Carries with her: Tools that she doesn’t know how to use (yet) – stowaway childhood stuffed toy that wasn’t supposed to come along – a 500gr notebook which Antonio doesn’t approve of – fountain pens – too many clothes. Often heard saying: “I need icecream” (Or coffee. Or chocolate). Useful contributions: A healthy dose of food snobbery – statistical mastermind – the only one that keeps his cool when Rose’s navigational skills turn out to be not actually that great – actually likes social interaction. Carries with him: Two stoves – a bottle of special olive oil – no beard trimmer – not enough underwear – not a single pair of working glasses – a lightweight notebook with temperature charts. Biggest challenge: convincing authorities that he is not a terrorist. Koga on the left, Santos on the right. Rose is riding a Santos Travelmaster 2.6, dating from 2005 or 2006. Aluminium frame, 26 inch wheels. Little clue about the rest. Antonio is riding a Koga Miyata World Traveller dating from 2000 or 2001. Aluminium frame, 28 inch wheels. Little clue about the rest, except that the bike has been used for grocery shopping despite being built as a touring bike and probably can’t wait to explore the rest of the world. Both bikes are hand-built frames from the Netherlands (where else?) and arrived in Dubai by airplane (thanks Scotty for giving them a lift!). We start in Bandar Abbas (Iran) and then cross the country to Turkey, cross Turkey (partially by train to avoid the long winter and political turmoil in the Southeast), into Greece, to Albania, Montenegro, Bosnia-Hercegovina, Croatia, Slovenia, Italy, France and finally, Spain. Meis lief, doe zoals altijd voorzichtig en laat vaak even een levensteken lezen, horen enz. We gaan jullie volgen in dit nieuwe zeer spannende avontuur! Have a very Nice time there ! Envoy life. Van Leontien, a friend of Annita en Sjaak uit Frankrijk.